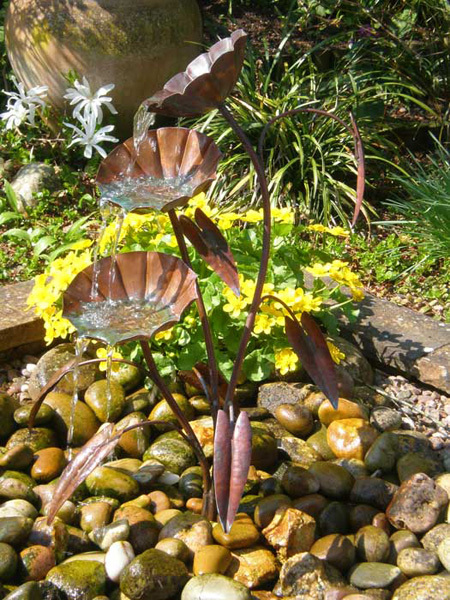 The Morning Glory copper fountain cascades water from flower to flower. Acting as bowls, the water wells inside the blooms, spilling from one fto another. 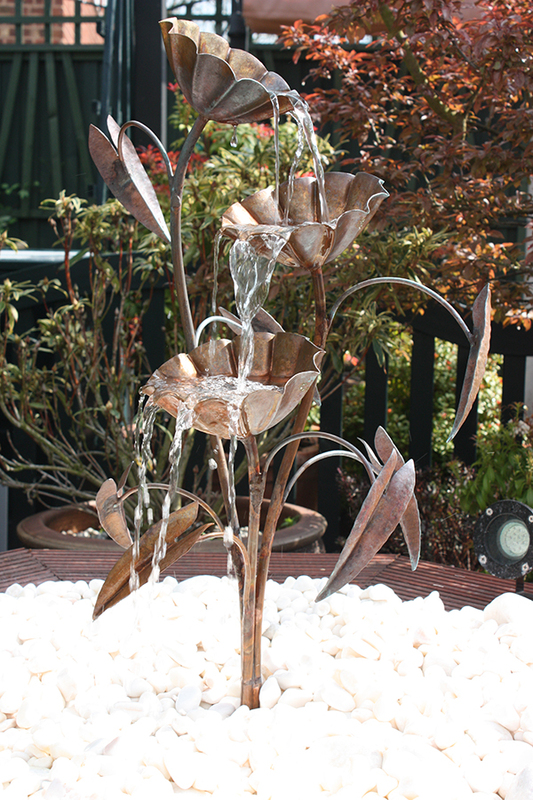 Each Water Sculpture is hand-made with great care and attention to detail. 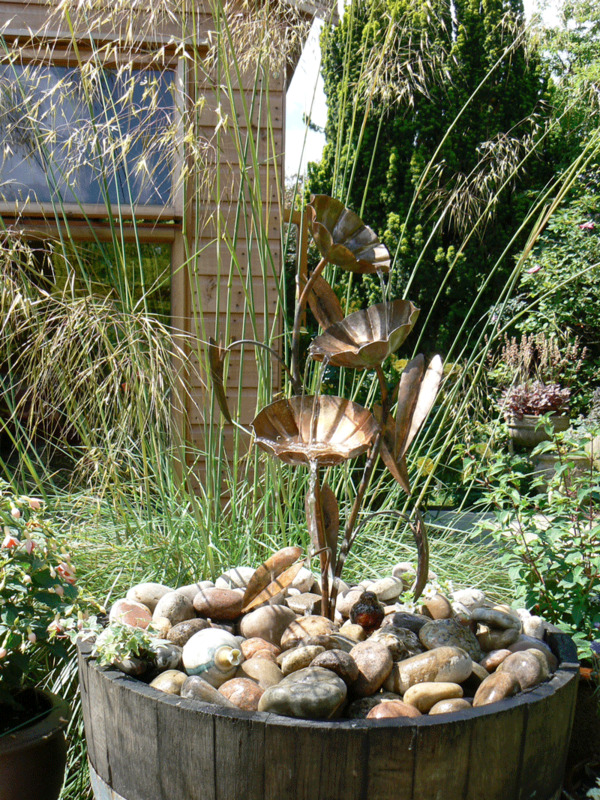 The copper will quickly take on a dark patina, which can further develop tinges of verdi gris green to the edges. This process continues over many decades and continually improves the appearance of the piece. 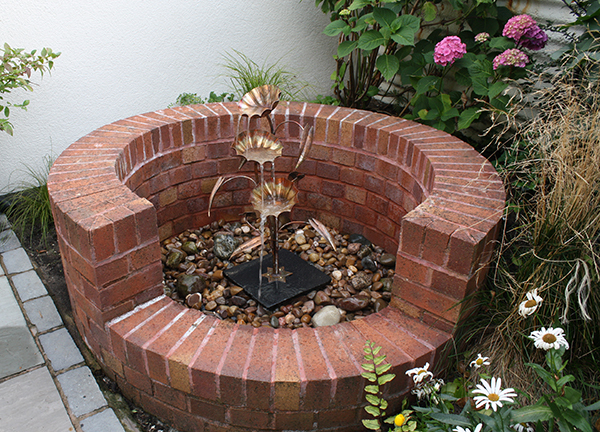 Complete with a heavy stone base, to enable it to sit either on a plinth in a pond, or to sit on top of a pebble pool.